Rocky Mountain Budokan, formerly Mountain States Budokan, was founded in 1965 by Mr. Hideki Iwakabe. Iwakabe Sensei was born in Japan and has trained in the martial arts from his earliest youth. Thus, he was raised with the true spirit of Bushido, the code of ethical conduct of the Samurai warrior based on personal valor, honesty, integrity, and patience. 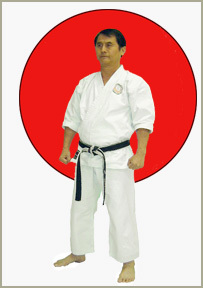 Iwakabe Sensei holds black belts in Shotokan Karate, Kendo, Iaido, and Judo. He has held numerous regional and national titles in Japan and the United States. Iwakabe Sensei began teaching Shotokan Karate in 1958. 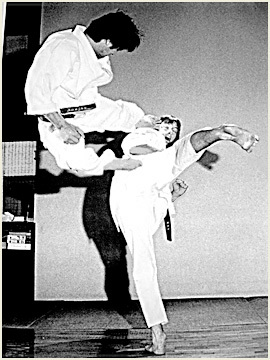 His extensive credentials as Chief Instructor of Karate at the Rocky Mountain Budokan include hand-to-hand combat training for law enforcement personnel and the Army's 101st Airborne Division. He also continues to teach in numerous recreational and intramural programs throughout the Rocky Mountain region. In 1973, Kendo became incorporated at the dojo when Iwakabe Sensei became acquainted with Mr. Hiroshi Umemoto, 7th Dan Kyoshi Kendo Instructor. With Umemoto Sensei as Chief Advisor and Instructor of Kendo, Iwakabe Sensei soon became Head Instructor of Kendo and organized the Rocky Mountain Kendo/Iaido Federation. 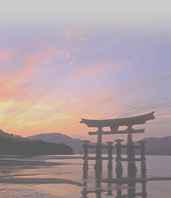 In 1975, Iwakabe Sensei returned to Japan to study Iaido from Master Danzaki Tomoaki, 9th Dan Hanshi. Two years later, Iwakabe Sensei, began teaching Muso-Shinden-Ryu Iaido.